AirDrop will lead you to a new experience in drying your body, because it has a very high absorption power and it dries faster than any other towel. It’s Lightweight, Bulky and Soft due to its innovative Technology. Using the yarn to its full potential, AirDrop technology is a clever technique that takes spinning cotton fibers (100%) and traps them with air. 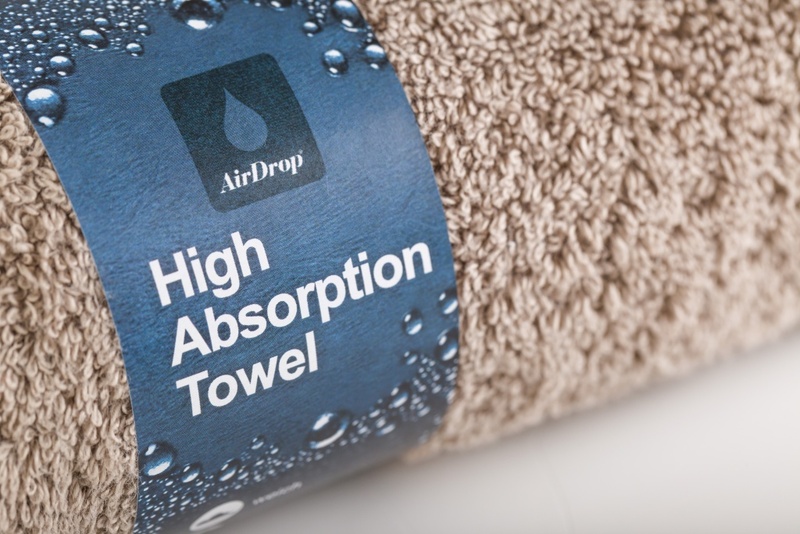 Combining superior absorbency with long wearing durability, AirDrop Towels are luxuriously woven from the world’s finest cotton. Extremely absorbent, and quick drying, the premium cotton guarantees a clean modern look and plush texture. It will be a pleasure to communicate with you!